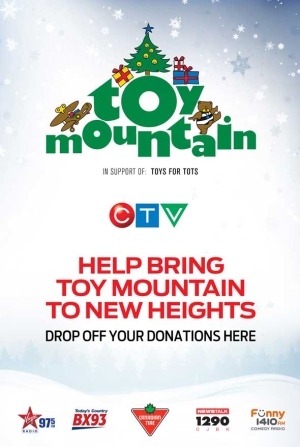 This year, join CTV, Virgin 97.5, Today's Country BX93, Newstalk 1290, Funny 1410AM and the Canadian Army and Navy Reserves to help brighten the lives of others this Holiday with Toy Mountain in support of Toys for Tots. Donate a new, unwrapped toy for children up to age 14. Much needed toys include those for infants and tweens including sporting goods, electronics and gift cards. If you don't have time to pick up a toy, you can drop off cash donations that will give the Canadian Army Reserves the flexibility to buy much-needed items on their toy list. 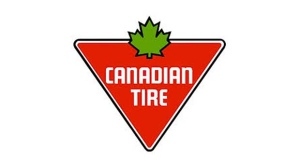 Drop-off locations include any of the five Canadian Tire locations in London. You can also drop off toys at the Lighting of the Lights in Victoria Park on November 29th, just drop by the Canadian Army Reserves truck near the bandshell. Or if you're at the London Lightning game on November 30th, you can bring toys to Budweiser Gardens and they will be collected at the door. Learn more about Toys for Tots on Facebook.